Dentists in Valrico are concerned with your oral health and thus care about the condition of your mouth and all of your many teeth. At Five Star Dental Care we recognize that your teeth help you both eat and speak. You use your teeth to tear, scrape, and chew food, as well as to form words with your tongue. Teeth are an important part of your oral health and Five Star Dental Care located in Valrico, Florida wants to help keep your mouth and teeth healthy. We humans have two sets of teeth in our lifetime. 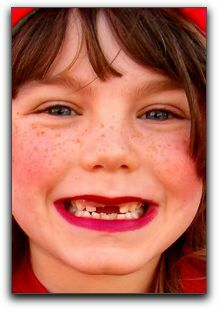 The first set are your ‘primary teeth’, which many folks around Valrico often call ‘baby teeth’. Baby teeth typically start to come in at about 6 months old. An average healthy mouth for a Valrico resident has a total of 20 primary teeth by about age 5. Your primary teeth will eventually fall out and new teeth known as ‘permanent teeth’ will grow in. Permanent teeth typically begin to come in around age 6 for most Valrico residents, but every person is unique and it could be a little earlier or later. By about age 13 an average healthy mouth should have 28 of the total 32 permanent teeth. The last four permanent teeth may or may not come, but typically come in between the ages of 17 and 21 if they do. Because of the late age that these last teeth come in they are commonly called ‘wisdom teeth’. Many adults in the city of Valrico have their wisdom teeth pulled out because these teeth can be problematic to your oral health, such as crowding a mouth. Other adults in the Valrico area may not have these teeth pulled out because they are not causing problems. If you are concerned about the state of your wisdom teeth, you can visit our local Valrico office and we can help you make a decision. Caring for all of your teeth whether you are young and have 20 primary teeth or are an adult and have 28 to 32 permanent teeth is important for your overall health. Visiting your Valrico dentist regularly, and brushing and flossing daily are great ways to care for your many teeth. Five Star Dental Care located in Valrico, cares about you oral health and can be reached by phone at 813-653-2273. This entry was posted on Friday, January 10th, 2014 at 2:27 pm	and is filed under Education, General Dentistry. You can follow any responses to this entry through the RSS 2.0 feed. Both comments and pings are currently closed.